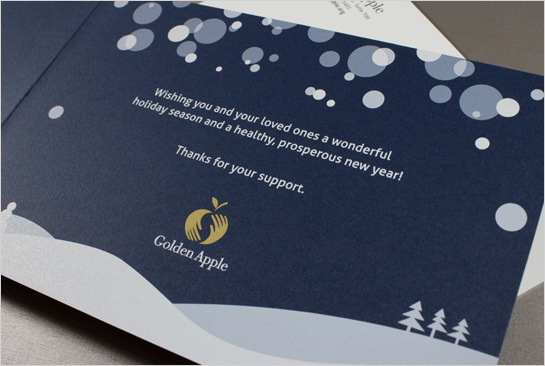 We used three separate hits of white ink on Elk Grove’s HP Indigo 7600 Digital Press, which gave our stylized snowflakes differing levels of opacity depending on the amount of ink used. The varying white inks provided a bit of punch when printed on Neenah Paper’s Classic Crest Patriot Blue paper, with its beautiful stipple finish. 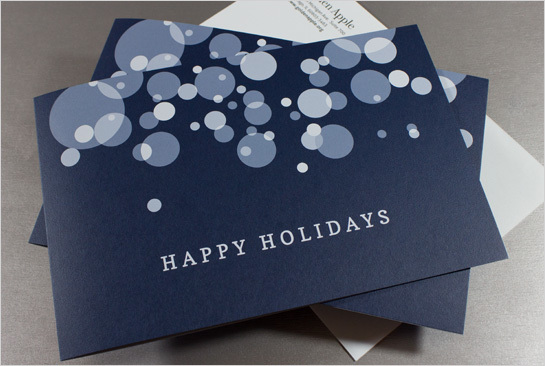 Finally, we matched the snow color with Neenah’s pale blue Windsor Blue envelopes to complete the package. A great and effective way to end the year.